Let me start by saying to you all thanks for being such a REPUTABLE , AUTHENTIC, BONA FIDE and TRUSTWORTHY COMPANY. YOUR products stands by its words. Thank you for the consistency and timely manner in which you all answered all my emails. 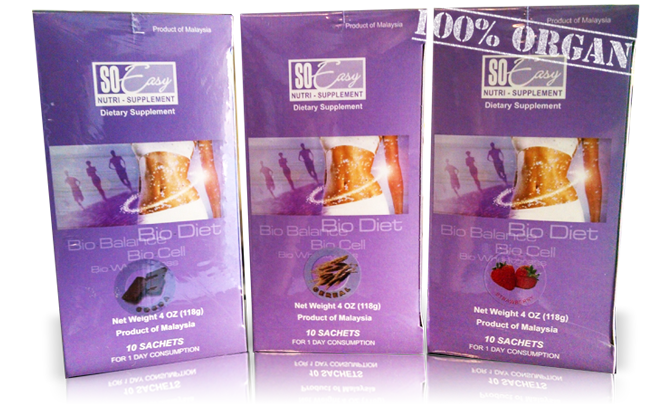 I must say that I am at a lost for words to describe my experience with your soeasy3daycleanse. It's an experience like no other. I am amazed at the amount of mucoid plaque that dispelled from my colon within the first day and to say the least, the first 24 hours. I am on my second day and have used the restroom and dispelled mucoid plaque a total of 12 times. I am so shocked, because unlike other products, such as teas and pills I get hemmorrids very bad and have alot of pain afterwards. With your product I have no pain. I am so grateful for the FREE 12 packs of wheatgrass you all sent me with my order and the pre meal plan to prepare me. I can say, the pre meal plan definitely helped me eat lighter and the wheatgrass intakes helped PREPARED my body for the 3 day cleanse. I have Candida very bad. And have been diagnosed with high blood pressure and cholesterol. I will be 50 years old in a few days and have never gotten my colon cleaned other than a few hydrotherapy sessions. So I thought I was just another lost cause because of all the mucous I can taste in my throat and the much mucus that comes out of the tubes in the hydrotherapy sessions. But no other alternative can do what your 3 day cleanse can. Thank you so much for the many years of research and studies you put into your product to help others as this world is in dire straits. Besides the hunger pangs and slight headache I get from the bio cell packet because anything I eat sweet makes me sleepy and gives me a headache, I rate this product and your customer service 210%. I am writing this testimony because I am just blown away that this product actually does what it says it does. To remove the Mucoid Plaque in 3 days is nothings short of a miracle. My favorite Health “Guru”, says that he had to go 6 months on a 100% heavy green raw vegan diet, followed by a 45 day watermelon fast, followed by a 40 day water fast before he saw the mucoid plaque go out. So when I see a product that says it can do it in 3 days, naturally and without any pain or discomfort, I was naturally skeptic. But I read the reviews, I saw video testimonials in youtube so I believed and I ordered one 3 day Cleanse and waited with excitement. The product arrived and I followed the instructions to the best of my ability, and was very pleasantly surprised with the taste of the product, I was also surprised that I felt almost no hunger and no discomfort at all. I believed so much on the product that I even told my mom which knows nothing of the mucoid plaque, I told her about it, and I told her that in 3 days I would get it out and prove to her the Mucoid Plaque exists. She didn’t believe me so now I wanted the product to work even more, if it didn’t work I was going to look like a fool. So the first two days I only had one bowel movement which was not mucoid plaque. I was worried at the end of Day 2 that maybe the product was not going to work on me. But on Day 3 I started feeling a lot of movement in my intestines, it wasn’t painful at all, but it felt like there was a lot of “food” going through. Since it didn’t make sense that it was food, I thought , it must be the mucoid plaque!!! Finally at the end of Day 3 I go to the bathroom to have a Bowel Movement and lo and behold, the Mucoid Plaque was in the Toilet!!! I was so exited!!! I have been wanting to get this stuff out for 4 years and finally it came out in 3 days with no pain or discomfort! The product had not failed me , I was so pleased. I called my mom with great excitement while she was in a dinner with her friends and told her the great news, “Mom, ITS OUT! ITS OUT!” Of course surrounded by her friends she couldn’t talk too much about it so she said, “Wait for me to get to the house and show it to me.” I got some rubber gloves and started collecting it in a small bucket. When she came back home and saw it she couldn’t believe it, she said…”OMG! OMG OMG!” She said “Wow! You were right!” And she literally bowed to me and said, “Ok I will never doubt you again! Your a Bada$$!”. I showed it to all my family like if it was my baby. I was so amazed at how much Mucoid Plaque came out, I had no way of weighing it but it was HEAVY, probably 7 pounds. It looked disgusting. All my life everyone made fun of me because I always had a “beer” belly, now after the Mucoid plaque came out my belly radically decreased and now I realize I had a “mucoid plaque” belly. I have realized that my brain works better, I seem to think straighter, and I seem to have more energy and feel less tired. This product is really a miracle. I made some youtube videos of my Mucoid Plaque , there are like 6 parts in total, you can check them out here https://www.youtube.com/watch?v=FNsgPFy0Pb0&list=PL0Oi_eEhSZFvG3Gfcyb7RYQX9ecOskCKl&index=2. You will not regret buying this, it is probably the best thing you will ever do for your health . I did the 3-Day cleanse about a month ago. Two weeks afterwards my right leg started hurting on an old injury. I rubbed it each night with an antiseptic cream to ease the swelling and pain, thinking I must have re-injured it. This leg had been injured over several decades ago and never really healed. Though it did not give me a problem it was un-attractive with a purple tinge across the injury spot. Then, after a week of rubbing, the pain went away, then something miraculous happen, it began to heal, along with this varicose veins in the same leg began to deflate long the leg up to my thighs. I was so over joyed because the only treatment was additional vein surgery. I attribute all of this to the 3-Day Cleanse, which I will be incorporating into a quarterly practice for the first 12 months and then a semi-annual practice for the remainder of my life. Subsequent to this I will be taking the Wheatgrass powder daily. The lectures, activities helped me become a better, happier and healthier person. I tried the So Easy 3 Day Cleanse. Had my gloves bucket and shower curtain ready to take pictures but my mucoid plaque smelled to bad I couldn’t do it.LOL It was just as the other pictures of others that have tried this product. I feel so much better not so tired and lost 3 inches off my waste.It was easy to do and will do again. Love your product!!! Thank you.Thank you.Thank you! I was introduced to the wheatgrass about 2 years ago. At the time I suffered from bad migraines, and I had a very bad case of acid reflux. I also had a problem sleeping. My weight was about 160 lbs. and I was so uncomfortable and in pain all the time. I started with the 3-day cleanse and I drink the wheatgrass 3 times a day. Within 2 months I lost 21lbs. My migraines have gone away completely. I do not have the acid reflux anymore.